Twelve years is enough time for the residents to weigh whether or not Kathy McKeithen has lived up to her representations. 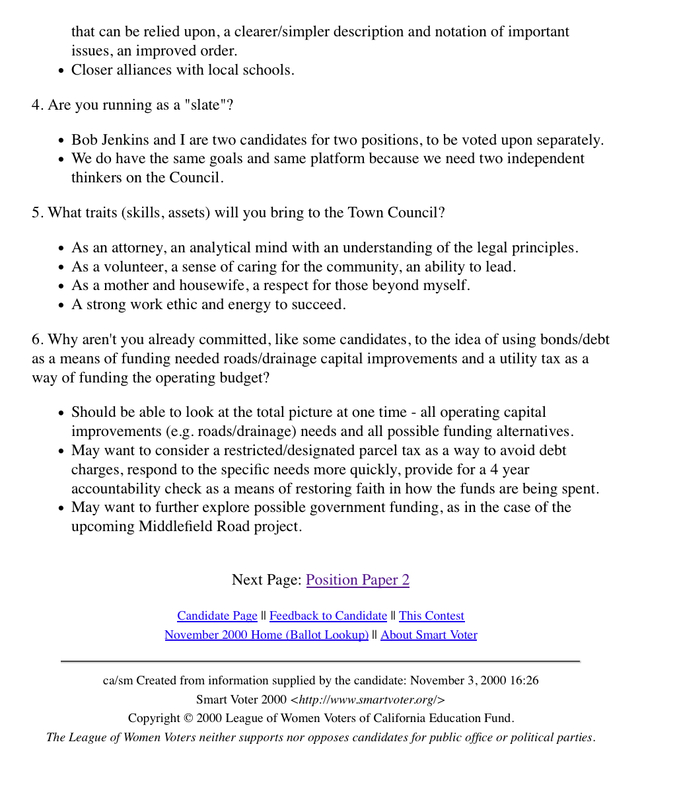 These are McKeithen’s own stated qualifications and goals from 2000. Given the recent controversies surrounding McKeithen and her Library project, these are worth a closer review. A broad and deep knowledge of the Council and the Town document — contracts, budgets, accounts receivable and payable, municipal ordinance, applicable law. Dedication to improving the Town and healing fundamental divisions. Ability to communicate well and work with people. Have the time to do the job well. As someone who actively participated in the two-time defeat of the parcel tax (because like so many others I did not approve of the way the funds were being spent), I believe that I am in a unique position to understand how to begin to heal our Town and move it forward. Is defeating the town’s parcel tax a form of healing? It seems more like a form of punishment? It actually punishes residents and staff. Wasn’t McKeithen, a member of the council, actually working directly against the efforts of other council members? Is defeating the parcel tax a sensible approach to solving the problem—or is it combative and reactive, because the town really needs the funds? Clearly, we needed the parcel tax (which passed later), so it may have been a more positive approach to support the parcel tax but cooperate with fellow council members to make sure that budgeting and proper financial oversight are established. That could at least have been seen as an attempt to work well with others—but that wasn’t what she chose to do. If you don’t like how your dog behaves, do you refuse to give it food? No. You train it to behavior better. If you choose to refuse it food, maybe you don’t like your dog. At any rate, her statement itself exemplifies just how poorly McKeithen understands working together for solutions. She has not shown any capacity that I have seen for healing. The stick is the only tool she uses and she uses it whenever she’s not happy (which seems to be all the time)! Desire to restore credibility and trust by responding quickly and respectfully to residents’ needs, being accountable for the results, making the Town more transparent and improving communications – e.g. broadcast meetings on TV, streamline the agenda. Far from restoring credibility and trust or responding quickly and respectfully to residents’ needs, McKeithen’s steadfast refusal to address resident concerns about her Library project has put the town through a year of really terrible convulsions. Transparency? Improve communications? 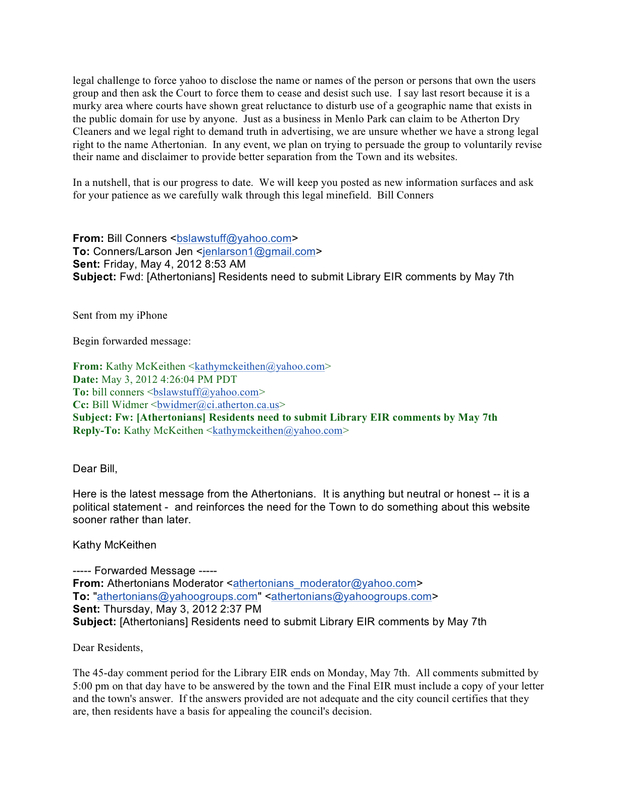 McKeithen attacked the resident email group, the Athertonians, because she didn’t like that it communicated about council agendas to residents—especially relating to the Library and EIR. Even the City Attorney had to explain to McKeithen that she could not censor resident communications. As the sitting council member on the Library Steering Committee, maybe McKeithen should be held “accountable” for what seems like the biggest heist of good will, trust, confidence and credibility this town has seen. A belief that consensus, credibility and trust can only be built on the availability of knowledge – the opportunity to know what is happening in [our] Town and why. The Library Steering Committee’s recommendation to the council did not sit well with lots of folks—because it did not reflect any input from any of the community workshops. Where is the evidence that shows that residents want a library in the park? We’d like that “knowledge” as that is what McKeithen’s steering committee was chartered to do—engage residents in making this decision. Nevertheless, with no evidence and with McKeithen herself defending against requests for the committee to produce evidence, McKeithen’s majority approved that recommendation. No facts, no credibility, just protests and petitions to change course. That’s not what I call a consensus. 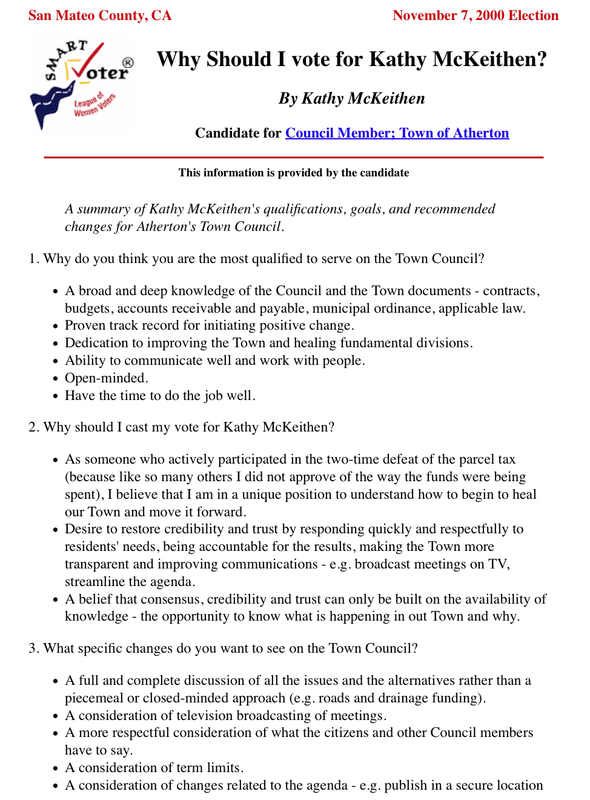 The changes that McKeithen wanted to see on the council includes: A full and complete discussion of all the issues and the alternatives rather than a piecemeal or closed-minded approach. Sounds good. So why did McKeithen herself slam a resident-hosted survey showing more than 80% of resident’s wanted town-wide master planning to allow the library to be considered in the town center development. The library wants its own piecemeal solution, and seems pretty darn closed to the idea of being located in the town center. McKeithen accused the town center organizers of trying to steal library funds. On what basis? Talking about alternative ideas? On top of that, she refused to approve having a survey of the town done. Refused even when the Park & Rec committee demanded that and when her fellow council members requested that. Refused to allow discussion of the Master Plan on the council agenda. 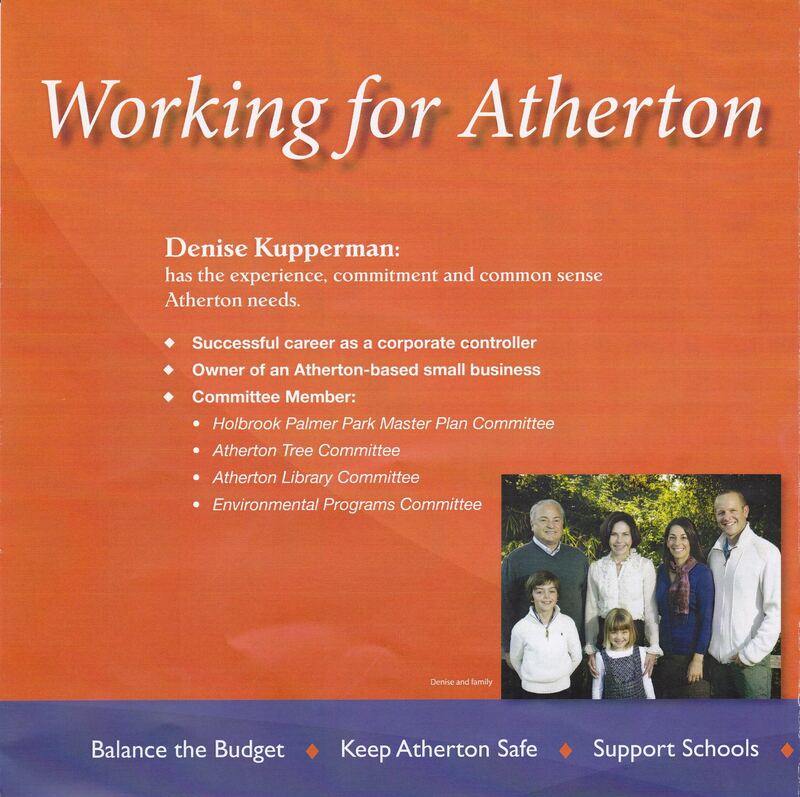 In fact, McKeithen spent months suppressing discussion of the full issues that residents raised. This seems incredibly defensive, piecemeal and closed-minded. A more respectful consideration of what the citizen and other Council members have to say. Twelve years on the council is a very long time. Long enough for Ms. McKeithen to appear to have completely forgotten what she found so offensive when she first ran and to have become that and worse herself. Long enough that to achieve her own goal of getting more respectful consideration of what citizens and other Council members have to say (not to mention her aspiration to see term limits put in place), Ms. McKeithen should wisely choose just not to run. A. The Library Committee spent town tax funds to deliberately attempt to foist its predilection on the community. B. The process used by the Library Committee was unclear, the purpose and meaning of meetings was not communicated, and their decision-making method was both hidden and flawed and could not have reflected the preferences of the community. 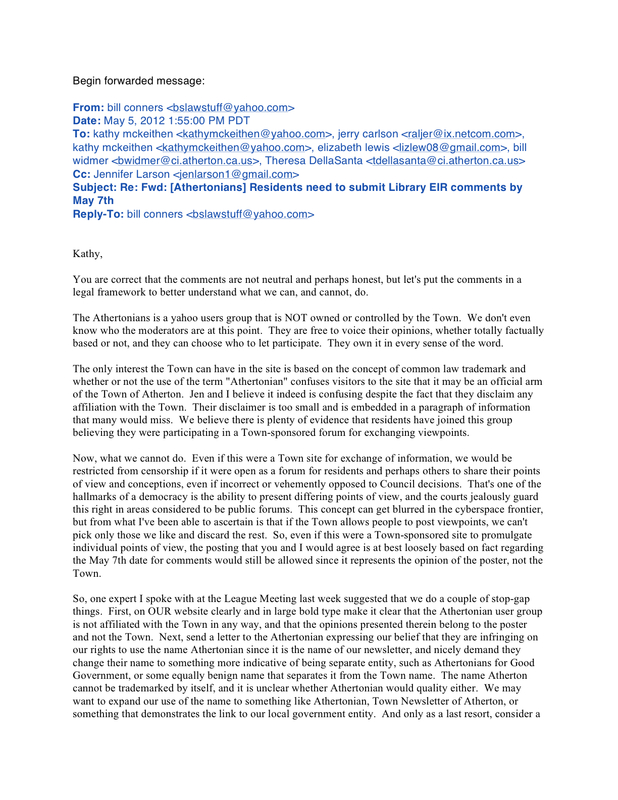 D. Library Committee members (in particular McKeithen, GInny Niles and Denise Kupperman) misled the public about the purpose of the steering committee—representing that it was chartered to make the decision itself after studying the issues, whereas the actual charter was to engage the public in making the decisions. McKeithen accused the public of not being capable of understanding the “complexity” of the issues for deciding where the library should go. E. The Library Committee was effectively “hijacked” by Friends of the Library, who just cared about doing what they and the library professionals wanted and the committee was neither bipartisan, impartial nor did it care to elicit the best solution for Atherton, based upon a broader array of community needs and priorities (such as for open space for children’s field sports). 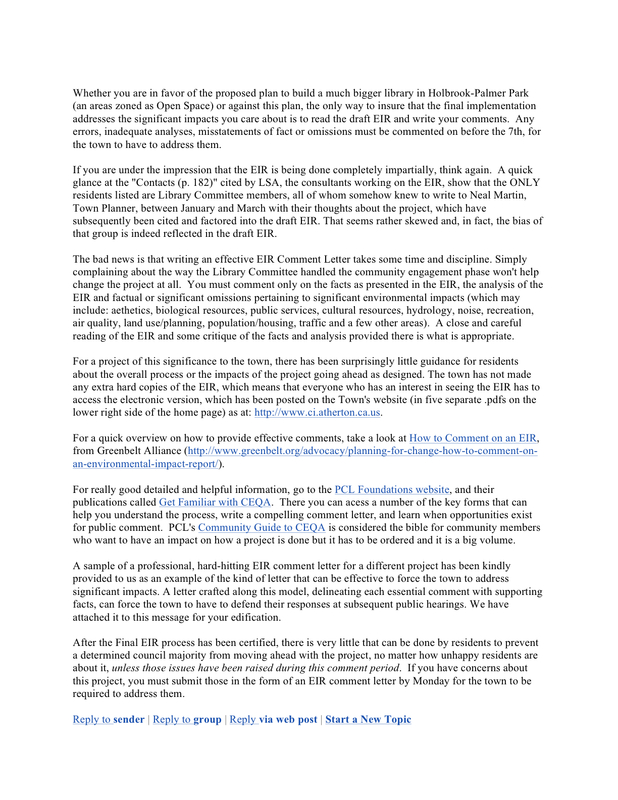 F. The Library Committee worked in a clandestine manner to plan the library to move ahead, offered only 2 cursory community workshops in the dead of summer, and had already begun a parallel process for moving ahead with CEQA clearance even prior to any approvals, as if they were assured of approval (which would be a Brown Act violation). G. The Library Committee utilized a myriad of devices (types and timing of notices and meetings) to minimize attention to the project, and maximize uncertainty and inconvenience to residents to participate, and then turned around and blamed the community for failing to show up. H. The Town Council members McKeithen and Dobbie and their Library Committee supporters, rather than hear what residents’ concerns were and address them, took the hardened approach of doing whatever it took to defend their flawed process. They voted not to allow further discussion on the council agenda, they minimized additional opportunities for people to express their concerns, including surveys, they personally attacked individuals and committees with legitimate complaints about the process, and lastly, they started to seek underhanded ways to push the EIR process to move faster, while churning up a whole host of other issues (like disbanding the General Plan, threatening the tennis courts, opening up the issue of moving to a Charter City, accusing the Athertonians group of name infringement, all of which were attempts to confuse and diffuse attention on the Library. Other complaints about the Library process? I have come to be aware of a number of these kinds of statements that have absolutely no basis in fact but which are used routinely by Ms. McKeithen to deny the reality of her ugly, politically-motivated behavior and rehabilitate her reputation (since she does seem to care that people not be aware of all the scheming she does). However, in this case, I got a copy of the actual exchange between McKeithen and the City Attorney. I naively thought that the City Attorney worked for the town but seeing this, I now realize that a contract City Attorney who gets paid by the hour and who hires his daughter to do the extra special projects actually loves to works for Kathy—since she generates quite a lot of extra legal work for both of them. Clearly, they will do whatever it takes to help her with her legal needs, even creative ways to approach her desire to suppress the Freedom of Speech of town residents. It appears that taking the approach of firing all predecessors can really put a damper on any employee’s (oops, I mean contractor’s, since all employees were fired) willingness to stand up for honesty and straight-dealing. Very sad. As the process has evolved some community members have expressed concerns about environmental impacts that might result if the new library were sited in Holbrook-Palmer Park. Specifically, concerns were expressed at the Park & Recreation Commission meetings on July 6, 2011 and October 5, 2011, at the ALBSC Community Meeting held on September 8, 2011 and at the City Council meeting on October 19, 2011. Those concerns generally relate to the loss of existing park and recreation space, traffic volumes and traffic safety in the park, and adequacy of parking. In terms of the California Environmental Quality Act and case law these concerns are classified as “public controversy”. Also, one result of the Environmental Screening Analysis was the determination that the existing library building is a potential historic resource and if it were removed that action would constitute an unavoidable adverse impact requiring an EIR and possibly a Statement of Overriding Considerations. Due to these concerns staff requested that LSA Associates provide an expanded work scope for the preparation of an EIR instead of an IS/MND for Town consideration. That proposal is attached and discussed below. Staff has met with the Atherton Library Building Steering Committee to discuss the options for meeting CEQA requirements. It was pointed out that experience has shown that an IS/MND is easily challenged from a legal perspective. Should an IS/MND be prepared, certified and challenged, significant time and money would be lost and a court could subsequently require preparation of an EIR. While an IS/MND could be completed in 2 to 3 months less than an EIR, it is riskier and could be more expensive in the end. After discussing the issues at its meeting on November 2, 2011 the ALBSC voted to recommend that the City Council proceed with an EIR for the library project and further recommended the City Council authorize an additional $86,230 to LSA for preparation of an EIR for the Library project. A more detailed discussion of the proposal is provided under the heading “LSA Associates Revised Work Program” below.